Florida is at the center of the college football universe, with seven Football Bowl Subdivision teams and even more alumni from schools around the country living in the Tampa Bay area. 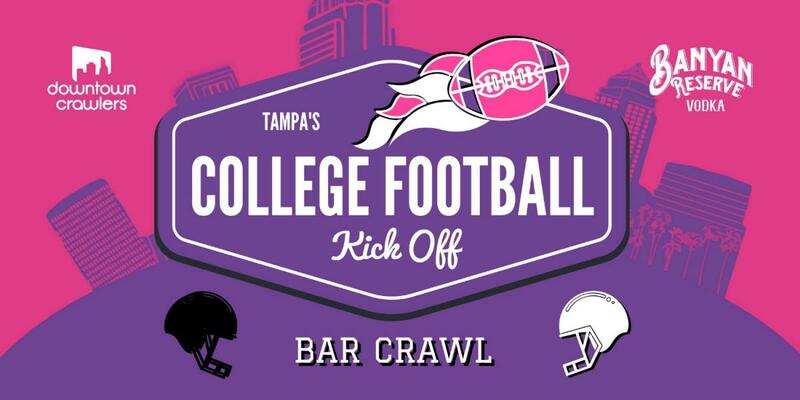 No matter who your favorite team is, let Downtown Crawlers be your guide on August 25th for the 2018 Tampa's College Football Kick-Off Bar Crawl. Downtown Crawlers, the experts in guided bar crawls with their awesome party bus, have put together a fun event to celebrate the start of football season. Tampa's College Football Kick-Off Bar Crawl includes a FREE shot of Banyan Reserve at each of the four bars you visit on Saturday to get your liver back in shape for tailgating for college football season. The event also includes transportation on the Crawler Bus among the four bars, a free raffle ticket, and free bar games for the chance to win more drink vouchers. Tickets for Tampa's College Football Kick-Off Bar Crawl range from $25 for individual tickets to $425 for VIP group up to 15 people, with several other group packages available. 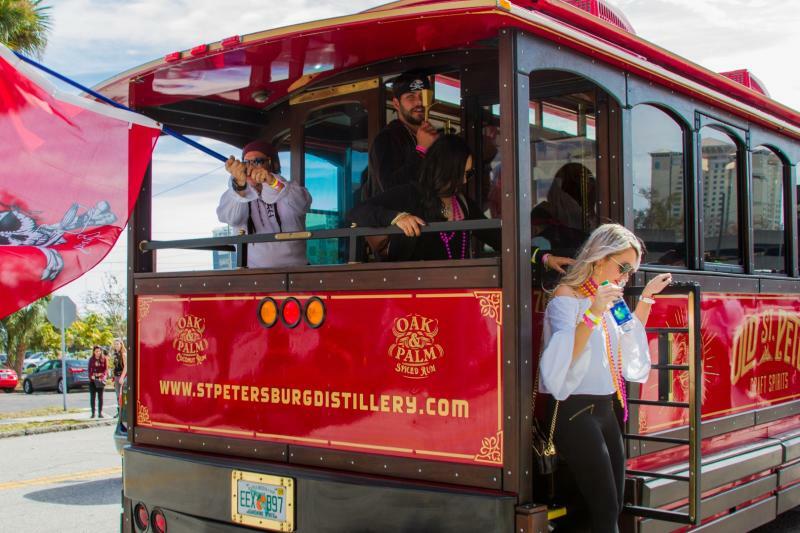 The party starts with check-in at Franklin Manor from 3 p.m. to 4 p.m. and includes the Crawler Bus transportation to Yeoman's Cask & Lion Pub, American Social Tampa and Ducky's Sports Lounge. The participating bars will also offer discounted food and drink specials on top of the free shot of Banyan Reserve when you arrive. Whether your team is one of Florida's three preeminent universities: USF Football, University of Florida, Florida State University, or others like the University of Miami, Lane Kiffin's Florida Atlantic University, Florida International University, or even the University of Central Florida, you should have an amazing time Downtown Crawlers in Tampa celebrating the start of football season! Proceeds from the event will benefit the Off-Road United Foundation, a non-profit organization that supports first responders and their families. You get to go to a pub crawl on a cool bus, with a free shot at each Tampa bar, and celebrate the start of college football season for a good cause. Tickets are available now, don't miss out on Tampa's College Football Kick-Off Bar Crawl! Want to know all the latest about events, things to do and bars and clubs in Tampa? Stay plugged in with 813area.com for all the latest! Register for an account to sign up for our email list today, it's free!